Vibe Hotel’s on-site conference facilities are flexible, sophisticated meeting rooms designed to suit all business meeting requirements. 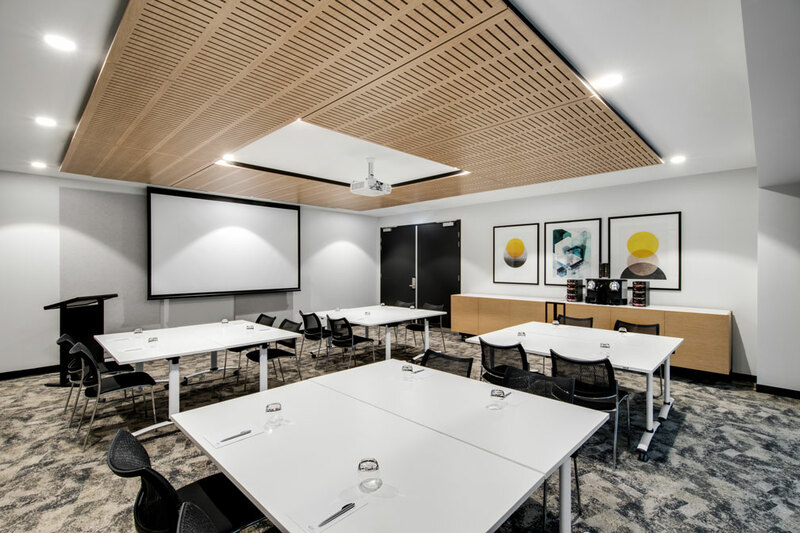 Vibe Hotel North Sydney is a host to a number of meeting and conference rooms perfect for your next corporate function. 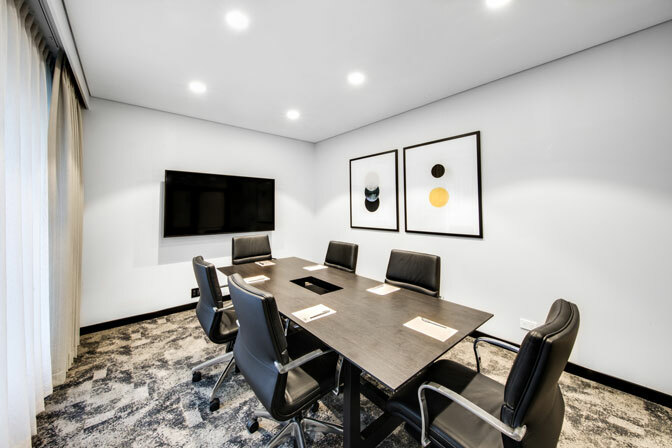 The spaces are managed by Vibe Hotel, who specialise and have a strong track record of hosting successful and well fitted meetings, conferences and seminars. 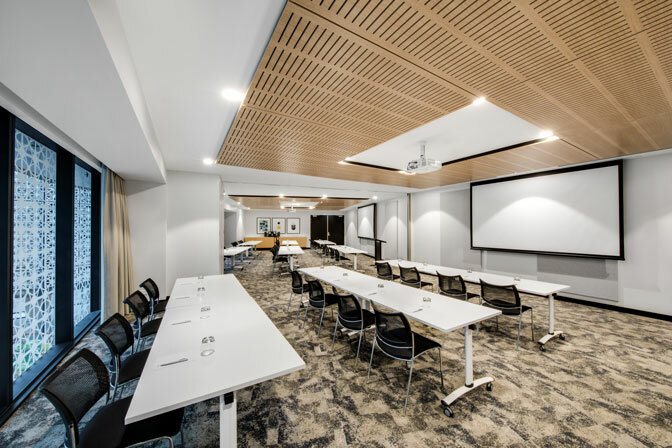 Vibe Hotel North Sydney has a bevy of meeting and conference rooms, with a generous maximum capacity of 200 people. 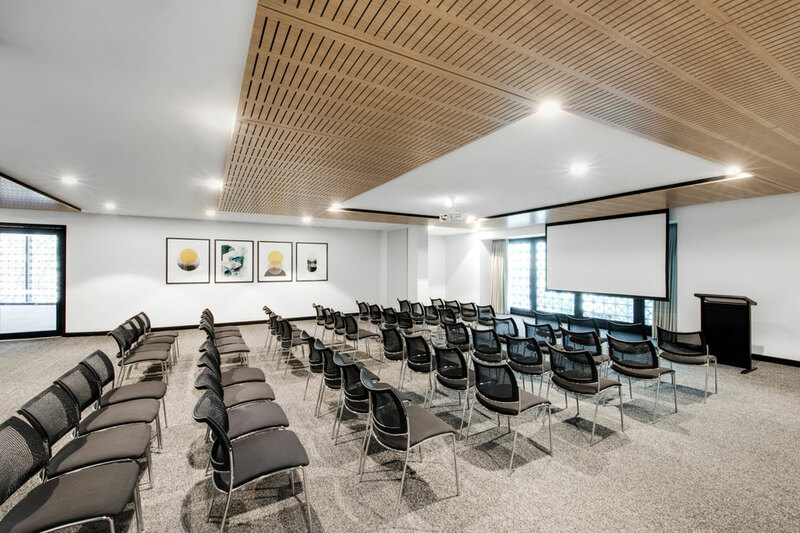 With ample amenities to suit all of your presentation needs, the rooms can be flooded with natural light or dimmed for presentations and slideshows, giving you full control of your environment. Packages including AV equipment, wireless connectivity, pre-function music, and themes are available upon request. Vibe Hotel also offers additional space for corporate events, celebrations, seminars, and team-building exercises. Overlooking the North Shore, this is the perfect setting for clients wanting professional space, that also offers retail and dining options. Hotel packages can include accommodation in the hotel’s 187 spacious guest rooms, and access to hotel facilities including the hotel gym and rooftop pool.